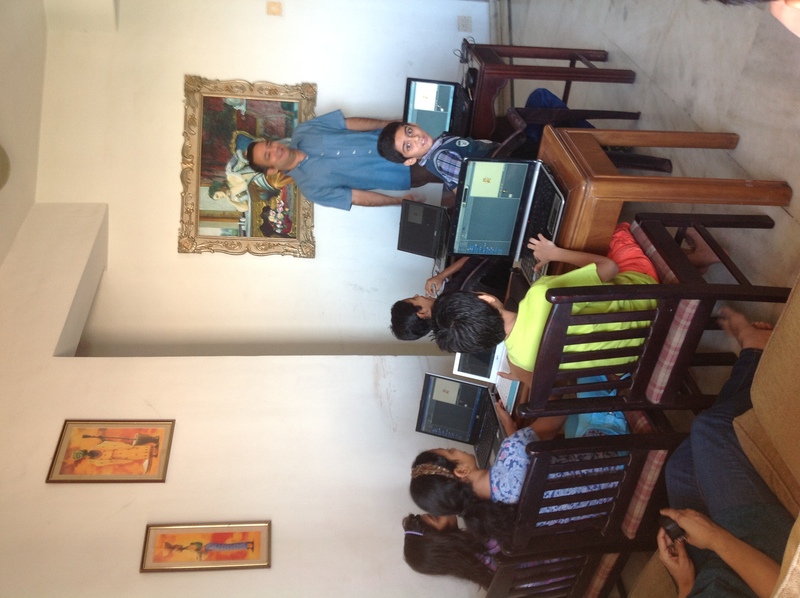 We are delighted to have kicked off our first event of the Mumbai chapter of Devoxx4Kids India. This being our first event, we kept the size to a small manageable number and also to understand what would work best for the kids. 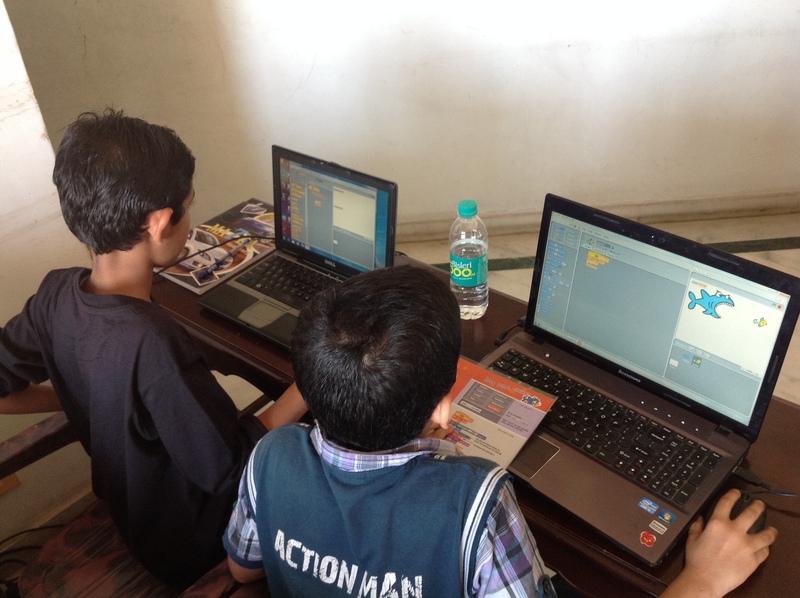 We choose Scratch as the topic for our first session to help introduce the kids to programming in a fun way. The session kicked off at 10:00 AM with a total number of 9 participants (4 girls and 5 boys) with the average age around 10 years. We planned for a total of 3 hours with a break in between and lunch around 1:00 PM. In about 5-10 minutes, we had the laptops setup with Scratch 1.4 and we discussed first what computers can do, what is a computer program, etc. Then we introduced the kids to fundamental concepts like Objects and what can be done with them i.e. Move, Size, Touch, Talk, Change Appearance, etc. 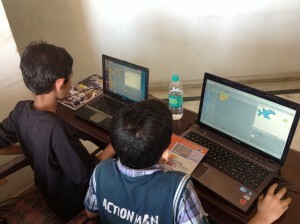 That set the stage for them to understand basic Scratch concepts like a Stage, Sprites and how they can interact. We asked the kids to try out some of these concepts as we demonstrated them. Then we asked them to create one project that utilizes one or more of the above into a project of their interest. 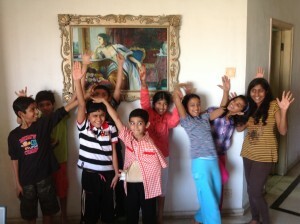 The imagination of the kids is something to be admired with some of them coming up with mini scripts. Check out the projects that the kids put up at our Scratch page. What came really handy were the Scratch Cards that we got printed a day before and laminated them for everyone to share and use. These cards are available at the Github page and the kids enjoyed going through 2-3 of them and trying our different techniques in Scratch. Soon, it was time for lunch. 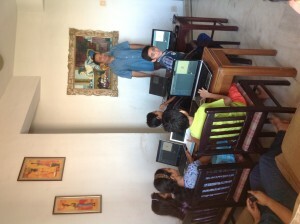 We had pizza and capped the session with a group photo with a promise to learn and explore more about Scratch. Three Cheers to the Programmers of Tomorrow ! Check out more pictures from the event at our Facebook page.